So we all know that if you live in Florida, you will encounter mosquitos more often than you would like. They’re pesky little insects whose bites are the worst to treat. 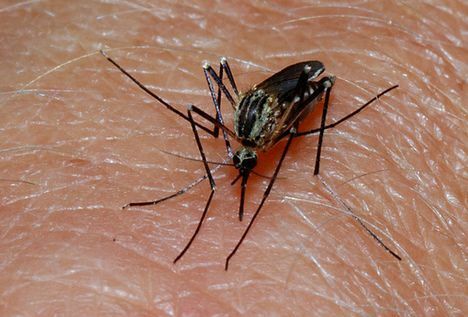 If you’re tired of having to deal with them, try some of these mosquito repellent methods this summer, and watch as the mosquitos stay far away from you! There’s a great all-natural mosquito repellent recipe from Mommy Potamus that will keep all of those pesky mosquitos away this summer! 1. Place the basil leaves in a glass container and pour the boiling water on top of the leaves. 3. Squeeze all (or most) of the liquid out of the basil leaves. Pour this liquid into a spray bottle, and add in the vodka. Add essential oil if desired. Shake and apply anywhere the mosquitos are biting. The best way to keep the mosquitos off of you is to keep them from coming around in the first place! What’s the number one thing to remember when preventing mosquitos? NO STANDING WATER! Leaving standing water around is a sure fire way to invite mosquitos into your space. Dump over trash can that have collected rain water, and any other equipment or tools that can collect water such as kiddie pools, buckets, and flower pots.